The All Blacks have lost over 700 caps with the retirement of the Golden Generation – McCaw, Mealamu, Smith, Nonu and Carter all gone. A time of vulnerability? A time for rebuilding? No. 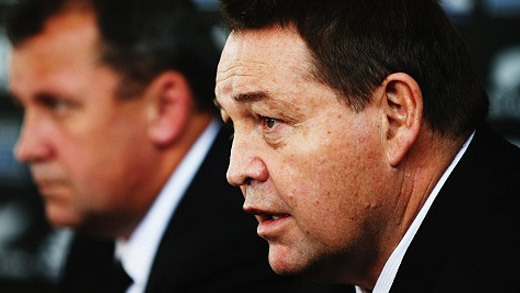 A time for ‘re-establishment’ is what Coach Steve Hansen calls it. Succession planning and Inspirational Leadership to the fore. Sam Cane, Aaron Cruden, Dane Coles, Beauden Barrett and Malakai Fekitoa to stand up, take charge and do what’s right. The Northern Hemisphere think we are ‘vulnerable’. But Peak Performance requires not only the BTI (Big Transforming Idea), it requires execution of the Last Detail. And Hansen and his coaches know all about this. The new All Blacks were selected today. A new era begins in June with three tests against Warren Gatland’s Wales – worthy opponents. But the new All Blacks know ‘No opposition is more intimidating than the legacy’.